Our bodies skin is something we do tend to take for granted but our body gets just as much of a battering as our face. Pulling on and off clothes, washing detergents and activities such as the gym all add to the daily wear and tear. I spend of alot of my hard earned money on skin care but I usually put that towards facial cleansers, exfoliants, boosters and eye creams. It’s only when I come to make plans for a special night out that I wish I’d have spent a little more time exfoliating and moisturising my feet and body, especially my legs and décolleté! It is a common myth that beauty therapists spend a lot of time playing with and pampering themselves with products. I do enjoy my cleansing routine in the morning, but that’s as much pampering as I get. So for my birthday at the beginning of the month, my boyfriend bought me some bath soaks and salts. I then remembered the pampering I used to do at least once a week! Which involved a nice hot soak in the bath, giving my feet a little t.l.c and drenching myself in some much needed moisturiser. It wasn’t until my latest Dermalogica course that I realised how much my skin had missed it! 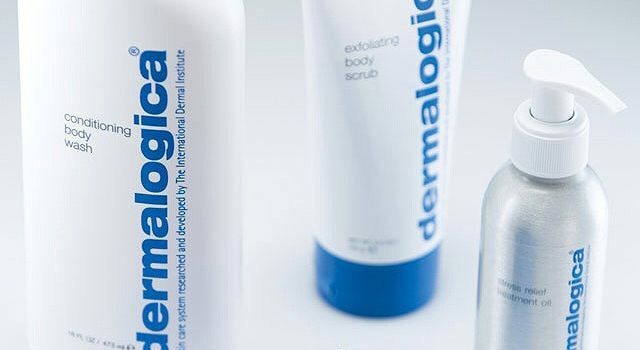 Dermalogica are at the top end of product development for skincare and as a therapist they provide an excellent training programme. There is always something new to learn or a technique to develop. Their body treatment course is over two days, although I am familiar with their body therapies they are constantly making improvements and so I always come away with tweaks to current treatments and new techniques. The other bonus about their courses is you get to experience the treatments yourself! In my last day I got to receive one of Dermalogica’s ultimate pampering experiences, where it combines the majority of the singular body therapies into one amazing treatment. I was so impressed that I thought I would share it with you! The treatment starts with you in a pair of ‘fancy’ paper knickers wrapped in a bed sheet, you then lay on the heated couch and receive gently body brushing and a full body map consultation (just like the mapping performed during facial treatments). Once this is complete the skin appropriate exfoliation is mixed and applied to sections of the body and removed with warm mitts and hand towels. A personalised massage medium is then applied followed by a customised thermal stamp. The stamp is used to massage along the bodies meridians. 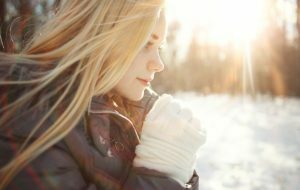 Then with the use of touch therapies and signature massage techniques specific areas and muscle concerns can also be addressed. Once this is complete the thermal stamp is opened and mixed with warm water to create a skin specific body masque. The thermal stamps can be made with enzymatic sea mud. Enzymes act like little PacMen and eat dead skin cells and bacteria whilst the clay draws away impurities. The other option is the power recovery pack which acts similar to that of the AGE Smart Power Recovery Masque for the face and stimulates elastin and collagen production along with aiding water retention and skin tightening. I witnessed firsthand the fantastic results of the product on stretch marks with them greatly reduced and the skin appearing much tighter. This is left on the skin for approximately 20 minutes whilst you are wrapped in plastic and blankets to retain heat and improve the penetration of the product. Whilst in the wrap you have further choice of a gentle leg or foot massage, scalp massage or even a reiki treatment. 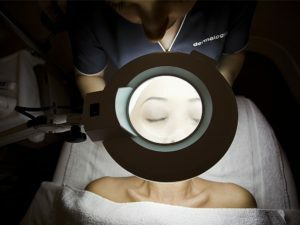 The bonus of this treatment is that not only can it be customised to how you feel on the day but also to address the skin concerns you are experiencing at the time of the treatment. This whole experience can also be broken down into sections. The exfoliation can be booked as a single treatment, which comes under salt scrub or body foliation. The body wrap again can be purchased as a single treatment as can the thermal stamp with a signature massages added, this also means you get to take home your thermal stamp and you pop it into your bath!! !